Hardware and programs drive efficiency, but talent trumps them both. 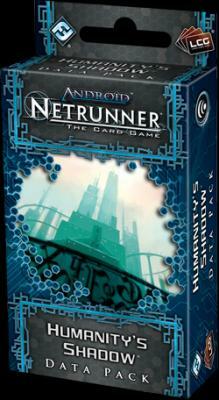 In the future of Android: Netrunner , humans compete for work with bioroids and clones. Business is built as much from programs and hardware as from cash and concrete. To find your way in this tech-centric world, you need to be savvy to the latest upgrades, and you need a good deal of imagination. Humanity’s Shadow gives you a chance to get your hands on both the most bleeding edge technology and the talent you need to make it sing.